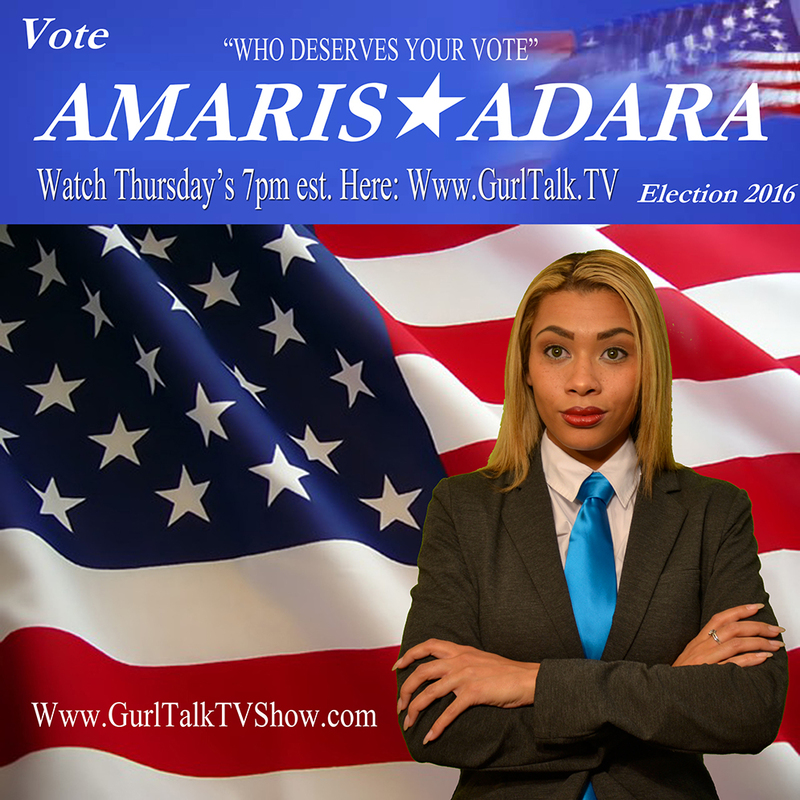 This entry was posted in 2016, america, Bloggers, charities, congress, GURL TALK TV SHOW and tagged abc breaking news, Adara, Amaris, Amaris Adara, Atlanta, Blog, Breaking News, cbs breaking news, cnn breaking news, corrupt police by Gurl Talk TV Show. Bookmark the permalink. Donald has owned three businesses that went bankrupt, so honestly, I don’t trust his business practices. He’s so out of touch with the everyman. He lives in his own world in the top 1%. Plus, the economy has done far better under Democrat presidents rather than Republicans. Studies prove that. But yeah, I think it’ll come down to Trump and Hillary, although Bernie has my support all the way. I agree to disagree. Many have filed bankrupt on parts of their business portfolio. Due to various reasons out of they’re control and in most cases it’s a smart business move. when legally theres no resolution that will allow you to regroup or may affect your other businesses that are untrelated to the erred business. EXAMPLE: Recording Artist 50 cent file bankruptcy on one of his businesses that was being “ILL” sued. Better to file bankruptcy, than have your other businesses that had nothing to do with that erred business become affected. Yes, Democrats are a better governing partie for the working class. But here lately they are laying down on their own sword. Not picking up the ball in the areas they need be. This democratic partie are abunch of snakes and cross over kings and queens. They can’t decide whether to be Dems or Rep.